With the holidays quickly approaching, we've compiled the top tech toys, books, and gadgets that our instructors incorporate into our weekly classes and weeklong camps to create the optimal experience for our students. All items on this list have been curated by our Director of Programming, Rose Coughlen, and our Director of Curriculum, Meredith Laverty. See what made this year's list below! Got a little inventor on your hands? We absolutely love the etch-a-sketch’s cool, tech-y cousin - the Boogie Board! This high tech LED screen lights up like a neon sign with a pressure stylus for unlimited doodling and drafting. When you’re done brainstorming just press the button at the top and voila, it's gone like magic! Let your mad scientist dream up their next big invention using this fun and creative gift. Hands-on coding is a great way to ease into game development, and Bloxels new Build Your Own Video Game kit is a fun way to try it out! Arrange colorful blocks to design your game levels, and then use the app to bring the game to life. Once you master block coding, check out some real coding languages at Codeverse. Set alarms, learn to manage time, track activity and more with this kids smart watch! This is a fun tech toy to encourage active play and important life skills. Bonus - includes a camera! This craft is DIY and easy to assemble. Turn your room into a space wonderland! Make your own constellations out of the thousands of projected stars, and then get outside to see some real ones! This gift inspires a love of the cosmos, and is perfect for a budding astronomer! Jump in the world of circuitry with littleBits! The Space Rover Inventor Kit is our favorite because of its amazing game app and tutorials. The free littleBits App guides kids through the construction and programming process of the robot - no parental guidance needed! Bonus: littleBits uses real circuitry bits that snap together magnetically and are safe for children. Learn all about sensors, battery power, output bits, wires and more with this fun kit. Want to test run this kit before you buy it? 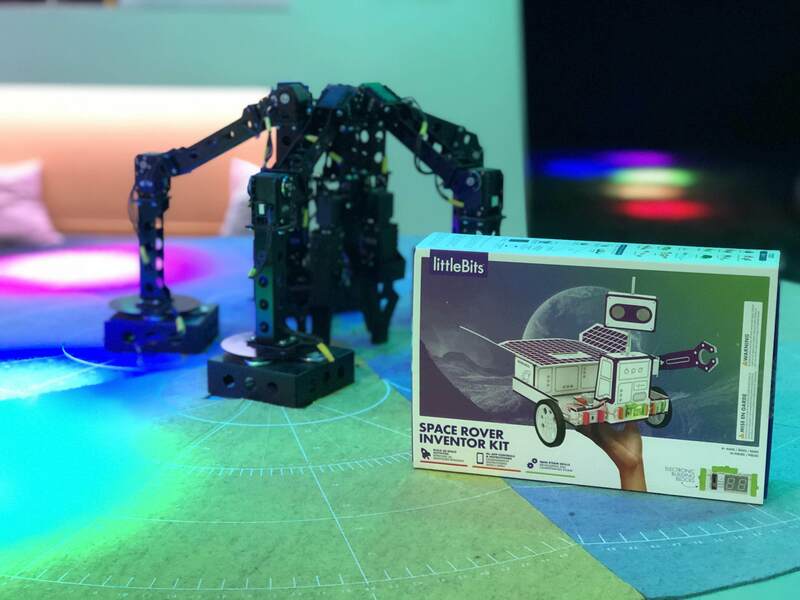 Check it out at Codeverse’s robotics camps this summer 2019! GoldieBlox kits are perfect for small engineers! We love the Craft-Struction Box and all the fun bits it comes with. Kids will learn the design process and all about prototyping with this kit. Great for spacial awareness skills and problem solving confidence, it's wonderful for kids ages 6+ who are excited about building and designing. This book is filled with 52 art-forward STEAM activities that will be fun for the whole family! Each activity includes a materials list, safety tips and hints, and “The STEAM Behind the Fun” section, which gives easy to understand explanations of the STEAM concepts used. An added bonus is that all of the projects are beautiful so kids can proudly display them when they are done! This is a great educational kit for use with the iPad. As early as preschool, kids can start learning about numbers and math, letters and reading, drawing and art! Games encourage problem solving and creativity with the use of both on-screen and physical elements. Note: iPad is purchased separately. Learn all about optics and logic in this fun puzzle game. Use mirrors to direct a real laser to the target and use your brain to complete complex challenges! This is a great gift to encourage a little genius to love math, angles and geometry and apply them to real life. This rube goldberg set will bring you back childhood memories of MouseTrap! Make complicated chain reactions and looping tracks to get the small balls to the end of your maze. Building the contraption is only half the fun - once you try out your invention you’ll want to redesign and test it again and again! 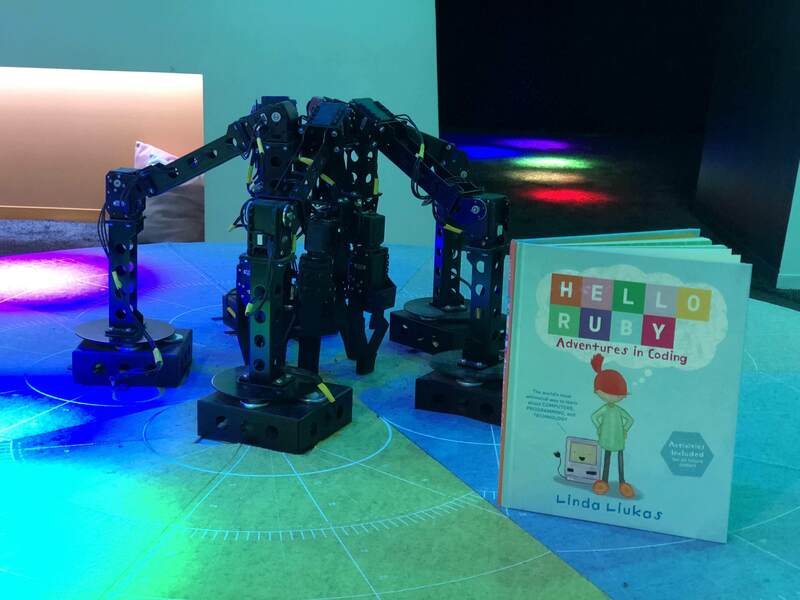 “Hello Ruby: Adventures in Coding” is a great introduction to computational thinking and the attitude it takes to get through challenges. Author Linda Liukas even includes some DIY puzzles and activities at the end of the story for creative fun with your child! This kit guides kids through setting up their own lab space and teaches them how to safely handle equipment and chemicals. It comes with 125 unique experiments that will get everyone excited about chemistry! 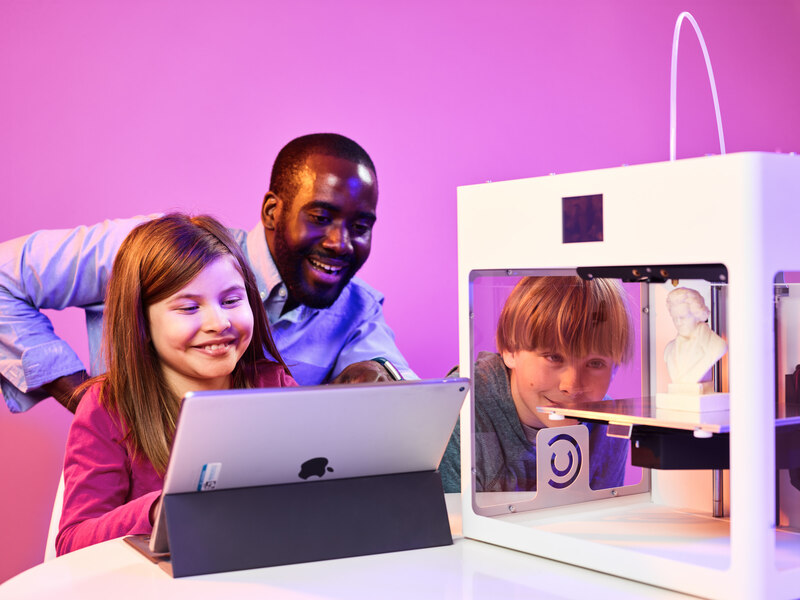 Want to inspire a young inventor? This award winning game was invented by 10-year old, Samaira Mehta. Easy to get started, this hands-on board game focuses on concepts needed to become a proficient coder. Program your robot bunny game token smartly with your code cards to eat the carrot and reach the destination before the others do! Interested in more board games by Samaira? Check out CoderMindz. Use the concepts of artificial intelligence to train up your robot in this fun board game where you will learn all about Image Recognition, Training, Inference, Data, Adaptive Learning, Automation and more. This game is easy for kids to pick up, and fun for the whole family! This customizable robot is one of our favorites! Build your robot using lego instructions, and then make it your own with proximity sensors, movable arms, and more. Mindstorms robots can be controlled with a smartphone or computer, and they can be coded to do incredible tasks! If you really love this robot, you can even start your own team and join up with the FIRST robotics annual competitions to complete a challenge course! This 3D, interactive model comes with all sorts of squishy organs for kids to take out and examine. The accompanying anatomy book shows how all of the organs work together to keep us alive, including how food moves through the body and interacts with all of the internal systems. This will give young scientists hours of fun! These 3D puzzles are perfect for kids who love a good challenge. Don’t let the simple designs fool you - kids (and parents!) will need to use all of their problem solving skills to figure out these brain teasers!